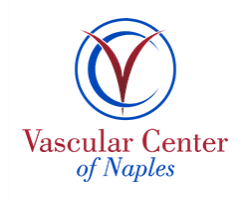 At Vascular Center of Naples in Naples, Florida, Dr. Russell Becker offers a variety of minimally invasive vascular surgery procedures to minimize your recovery time and help get you back to your regular activities as soon as possible. Dr. Becker can treat a variety of common vascular conditions using minimally invasive surgeries, including peripheral arterial disease. Schedule a consultation online or by phone to find out more about available vascular surgery options. What vascular surgery options are available? Dr. Becker also offers office-based vein procedures for conditions like spider veins and varicose veins. 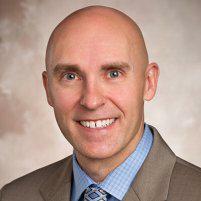 Minimally invasive vascular surgery offers many benefits. Dr. Becker performs several minimally invasive vascular surgeries to improve your blood circulation, especially in your lower limbs, without extended downtime and recovery. In many cases, you can expect to return to your regular activities, including work, within a few weeks, rather than losing months to an extended recovery following traditional surgical procedures. The advancements in minimally invasive vascular surgery allow Dr. Becker more precision and accuracy in improving vein health and providing you with pain relief and more mobility. Stenting and angioplasty procedures are effective in opening narrowed or blocked blood vessels. In a stenting procedure, Dr. Becker places a small, wire mesh tube in your blood vessel to keep it open and allow blood to flow through properly. In angioplasty procedures, Dr. Becker uses a balloon that inflates to open a narrowed or blocked blood vessel. He inserts the balloon attached to a slender catheter into your blood vessel and gently inflates it enough to open the vessel and improve blood flow. Dr. Becker then deflates the balloon and removes it. During stenting and angioplasty procedures, Dr. Becker may use imaging equipment, such as an X-ray, to guide the catheter into place. What can I expect after minimally invasive vascular surgery? You may have some bruising or soreness where Dr. Becker inserts the catheter. Once you’re home, you should get plenty of rest and drink fluids. Dr. Becker provides you with aftercare instructions, including limiting your strenuous activities for a few days following your procedure. You may also need to take prescription blood thinners to prevent blood clots from forming while you heal. To learn more about your options for vascular surgery, schedule a consultation online or by calling the Vascular Center of Naples.